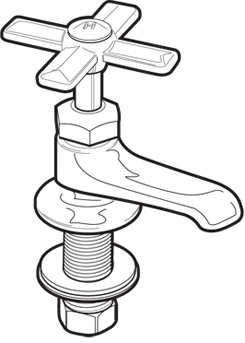 Welcome to Technical Illustration dot com! The samples in these portfolios represent technical illustrations in various styles. The main portion of the site consists of three major styles of technical illustration: Cutaway, Tone, and Line artwork. There's a brief discussion on each page about the intended use of each style, the software used to create it, and the type of file that will be delivered. If you're curious about costs, it all depends on how much work is involved; the detail required, the number of components, color or black and white. Cutaway (sometimes called phantom or see-through) drawings are the most costly, followed by tonal drawings. Black and white line art is the least expensive, simply because there are fewer things to draw. Each style has a place in marketing or advertising. It just depends on your audience and the message you want to promote. 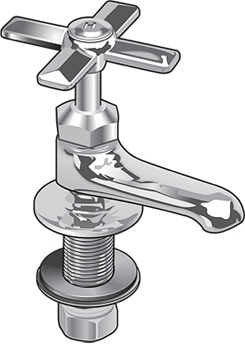 Click on any of the faucets to go to a specific technical illustration portfolio. 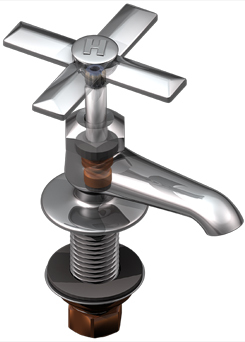 (Why faucets? No, this isn't a plumbing site, but by using the same object to show three different ways to portray that object seems to make sense. Just because you don't see an example of a product from your industry doesn't mean we can't draw it - whatever your product, process, or prototype is, we can create an appropriate technical drawing for it.) The majority of the technical drawings in this portfolio are vector art, done in Adobe Illustrator or Macromedia FreeHand. Drawings with "3D" in the bottom corner were done in NewTek LightWave, a 3D modeling program. Those renderings are a little more costly, but they're easily repurposed without starting from scratch, which saves money in the long run.